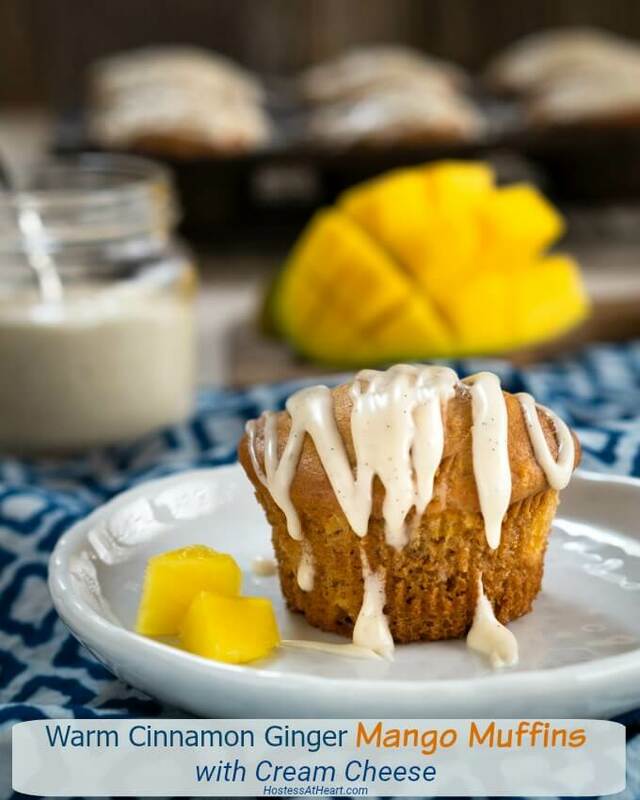 Warm Cinnamon Ginger Mango Muffins Recipe is a tender delicious muffin stuffed with sweet juicy mango. 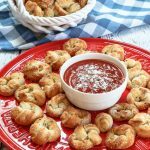 They’re perfect with any meal or just a relaxing afternoon snack. Mango Muffins are a great contrast between the warm cinnamon and ginger spices and cool sweet juicy mango. I love hearing from you and get so much inspiration from your comments and questions. People often ask where I get my ideas for new recipes. From you and I am so grateful for that. I love mangos and what a great idea! Just the thought had me drooling! My son lives in Florida and has a huge Mango tree in his back yard. I was so excited when he moved there and couldn’t wait for my mango bounty. Have you ever seen the movie Caddyshack with Bill Murray who uses extreme measures to rid a golf course of a gopher? Well, that’s Mike with the iguanas and his mango tree. The iguanas take one bite of the fruit and let it fall to the ground and then move on to the next mango. If I lived there I fear I’d be climbing that tree just waiting for those pesky things to show up. 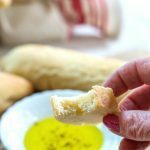 I wanted to make a homemade muffin that was easy, tender and delicious. In Nebraska, we get mangos in our grocery store but they can be pretty pricey. So I wanted to give frozen mangos a try. 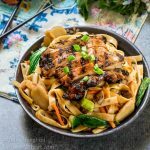 I totally understand how busy you are so if you don’t have time for our helpful tips and delicious recipe ideas, just scroll to the bottom of the page where you can find the printable recipe card. Can you use frozen Mango? Talk about convenience! It was already cubed and I didn’t have to pick the perfectly ripe mango. Frozen mango works very well. You will want to let them thaw and then sit on a paper towel to remove the excess moisture. Don’t press the juice from them, however. You don’t want them to dry out. I chopped the diced mango up into smaller pieces so they would blend with the batter. When your fruit is too large or heavy it can sink to the bottom of your muffin and will not bake correctly. *For a perfectly moist, tender mango muffin, use one egg and one egg yolk instead of two whole eggs and add one teaspoon of vegetable or canola oil to the batter. This also works when you’re baking with a cake mix. 12-cup non-stick muffin pan – I love this muffin pan and have three of them so I can get them all filled and baked at once. They’re great for egg cups too! Scoops – Wonder how those cookies are all the same size? Scoops! I use them for my cupcakes too! Cupcake liners – I use these foil liners. The pretty paper ones aren’t that pretty after baking so I use foil liners with non-removable paper. They come in many colors. If you like this recipe leave me a comment below and 5-✭✭✭✭✭ rating. Here are a few more I think you’ll like! 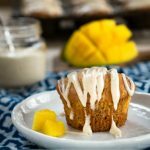 I honestly think that these Cinnamon Ginger Mango Muffins with Cream Cheese are one of the BEST muffin recipes that I’ve put on the blog. If you’d like to see something here leave me a comment or drop me an email. I read and reply to all of my correspondence. 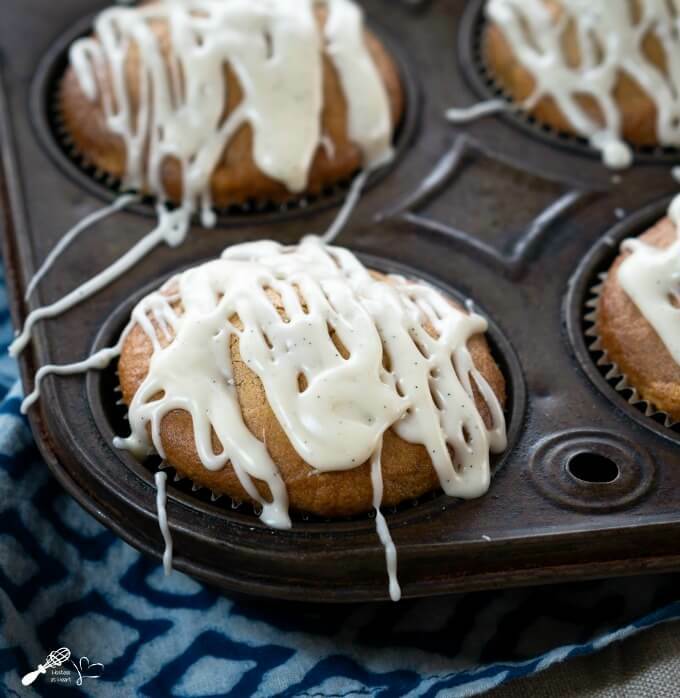 Warm Cinnamon Ginger Mango Muffins with Cream Cheese are soft and tender with an explosion of juicy mango and a vanilla bean drizzle. This over-the-top delicious muffin will be your new favorite. Preheat your oven to 350°F and fill 17 to 18 muffin cups with cupcake liners or grease well. In the bowl of an electric mixer, cream softened cream cheese, sugar, and brown sugar together on medium speed until light and fluffy. Add the eggs one at a time, beating after each addition and then the vanilla oil, and milk. Mix until blended together. In a medium-sized bowl combine the flour, baking powder baking soda, cinnamon, ginger, and salt. Whisk to combine. Add the flour mixture to the liquid mixture alternating after each addition. Fold the mangos into the batter. Fill muffin cups 3/4 full. Bake 17 to 18 minutes. Muffins are done when a toothpick comes out clean. Turn the muffins out of the pan onto a cooling rack. 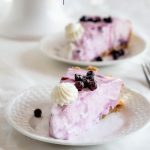 Combine the powdered sugar, vanilla bean paste, and milk one tablespoon at a time until the glaze is thin enough to drizzle. I use 1 whole egg and one egg yolk and 1 tsp of canola (or vegetable) oil. It will keep you muffin soft and tender. You can use two whole eggs and omit the oil if desired. The calories for each muffin are without the drizzle. If you used all of the glaze they would be 171 calories each but in my opinion that would be too much. Wow I love mangos and have never thought to put them in a muffin! They have some at the farmers market so Ill have to get some to try! Awesome flavors all together. Thanks for the tip on using frozen mango. So much easier and extends the season of these muffins to all year round…and yes, these go great when it’s cool out paired with a cup of tea. These look perfectly fruity and delicious!! Perfect with my morning ‘Joe! Mangos are one of our favorite fruits. It is a dessert in itself. I’ve never tried baking with it. I don’t know why, but your muffins are inspiring me to make some of your delicious cinnamon ginger muffins. Thank you, Marisa! I hope you’ll give it a try. I am mango OBSESSED and these muffins look absolutely delicious!!! 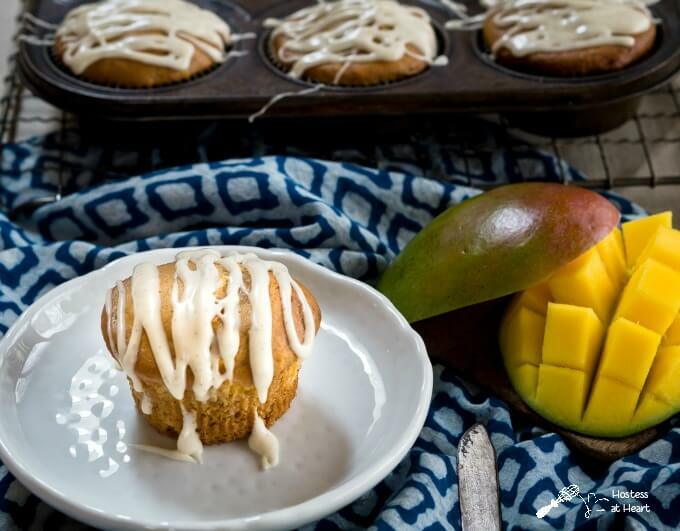 I love the tropical flavor that the mango brings to these muffins! I bet the ginger and cinnamon go really well with it too. I would love to make these breakfast, especially now that we are getting so much rain where I live. They would definitely help me to start the day right! Thank you, Daniela! I think a muffin a day will definitely cheer up the rainy day doldrums! These are incredible, Julie! I’ve been on a serious muffin kick lately. As soon as one batch is gone, I’m planning my next one. And I’ve been playing with so many different flavors. I’d been wanting something with a tropical flair since the weather has been warming up, and these were perfect. Thank you, Dana! I’m a muffin fanatic lately too! Yum! These look perfectly fluffy and moist. I’ve never thought to add mangos to a muffin, but I bet they work really well with the cinnamon and ginger. I also really appreciate that there’s a bit of vanilla bean paste int eh icing to make it even more decadent! Thank you Jenni! I loved the vanilla bean paste flavor too! Yep, I’m pretty sure I’d be fighting the iguana for those mangos too! Love that you’re using frozen because peeling a mango can be slippery. I’ve cut myself on them more than once! Adding them to a muffin is brilliant – Tess is one smart gal! Yep loving Tess for this one! I need about 50 more Tess friends! Thanks Deb! I am totally envy of your sons mango tree love the pairing with ginger, great flavours. Me to Misbah! Thank you! Such a wonderful muffin! These will be perfect on my Easter brunch table! Thank you, Debi! Happy Easter! what a great way to start the day. I love mango and then these muffins would be a wonderful Tropical tasting bonus here in Florida! The perfect recipe for me with two Mango trees! Thanks Happy Easter! TWO mango trees? I am so jealous! 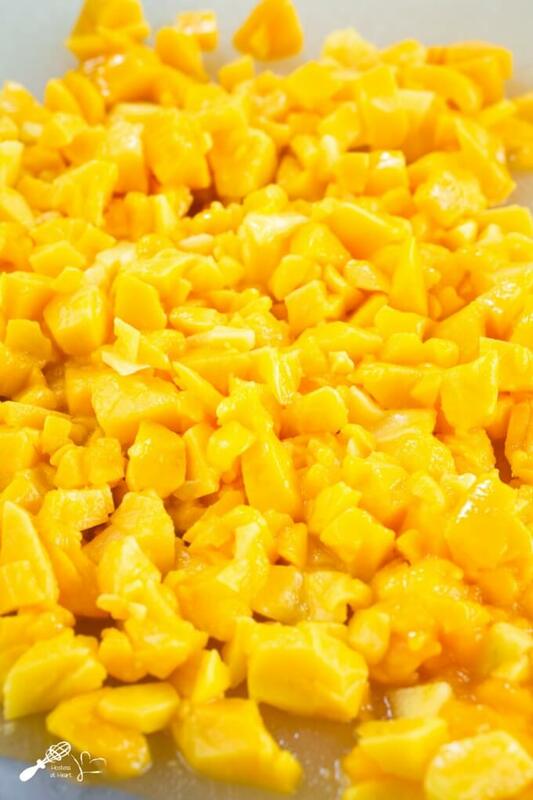 What is your favorite recipe for mangos? Mango and vanilla drizzle sounds amazing! What a great muffin recipe. I love the flavor combination, perfect anytime, breakfast, tea time or snack perfect! Mangoes are one of my favorite fruits! I love the flavor in the muffins and it pairs so well with my morning coffee. Definitely a keeper! Thank you so much, Courtney! I’m agreeing whole-heartedly with you! Thank you so much, Diane! I think Mangos cook a lot like fresh peaches. I could start my day off with one of these with my morning coffee. I could end my day with one of these and my evening cup of Earl Gray. I could enjoy one of these with my afternoon latte. I guess they are perfect ALL day long. Thank you, Gloria! I’m an equal opportunity muffin eater all day long too! Thank you Sarah! I’m anticipating my first batch of fresh mangos too!